Preschool or Daycare – Which is the Best Choice for Your Child? Carpe Diem Private Preschool is a leading preschool and daycare facility conveniently located in Allen, Texas, a northern suburb of the booming metropolis of Dallas. Allen is the midway point between the larger cities of Plano and McKinney in Collin County. Carpe Diem Private Preschool is proud to serve the Allen community, offering full-time and part-time programs for infants as young as three months old to children up to twelve years of age. The community of Allen is popular with families and businesses alike, boasting a nationally-recognized parks and recreation program, as well as many corporate startups, popular shopping centers, and award-winning golf courses. Corporations such as Intecom Inc. and Developmental Learning Materials relocated to Allen in the 1980s, paving the way for growth with other corporate startups and existing companies. Allen, Texas offers endless opportunities for both work and play. When planning a family outing, there are many options to choose from in Allen, Texas including Celebration Park, a 104-acre park that includes a KidMania playground, sports fields and tennis courts, and local favorites such as Cosmic Jump, a trampoline entertainment center. For golfers, the Golf Club at Twin Creeks, an Arnold Palmer Signature golf course, and the courses at Watters Creek in nearby Plano are the ideal locations for an exhilarating round of golf. For the thrill-seeking family, Hydrous Wake Park, a state-of-the-art wakeboarding facility, offers summer camps, birthday parties, and private lessons. Parents also love shopping at child-friendly stores like Babies R Us, Toys R Us, and Gymboree which can be found nearby at Allen Premium Outlets and The Village at Allen. 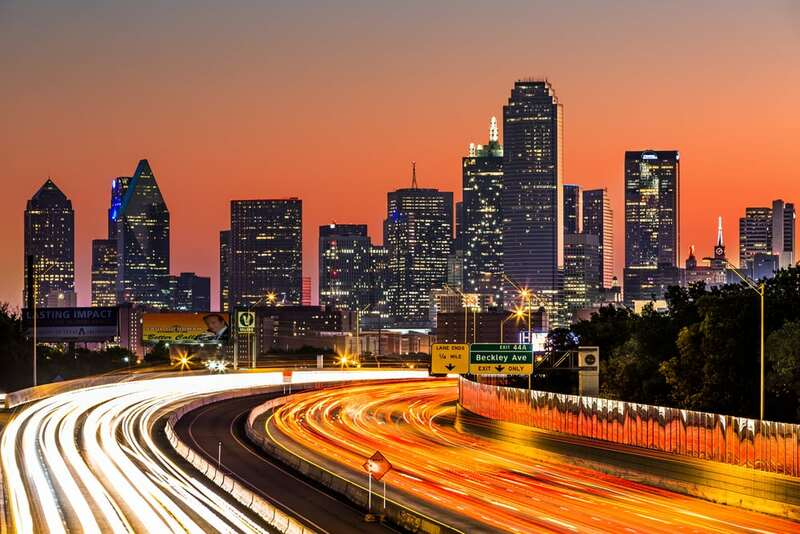 With the city of Dallas and the Dallas/Fort Worth Metroplex (also known as DFW, or The Metroplex) just a 30-minute drive to the south, weekend trips to the big city are a great opportunity for the whole family. The Metroplex is the economic and cultural hub of the region commonly called North Texas or North Central Texas, and is one of the largest and fastest growing metropolitan areas in the United States. The Dallas World Aquarium and the Dallas Zoo, the oldest and largest zoological park in Texas, are both perfect destinations for exploring. For more nature-themed fun, the Dallas Arboretum and Botanical Garden offers educational programs for children and adults and hosts popular events like Dallas Blooms, the largest floral festival in the Southwest. Along with the surrounding activities in Allen and Dallas, Texas, Carpe Diem Private Preschool in Allen offers a variety of programs for children of all ages. During the school year, Carpe Diem offers a dynamic and experiential learning environment designed specifically to foster critical thinking skills. School-time programs are offered for infants, toddlers, preschool and kindergarten ages, along with after-school and holiday care for children ages five through twelve years old. When school is out, summer camp programs at Carpe Diem are filled with fun and learning, and available for children in kindergarten through fifth grade. Summer camps offer diverse curriculum which includes music and Spanish classes along with field trips all over Allen and North Texas. Carpe Diem Private Preschool in Allen is also located close to Dallas-Forth Worth International Airport, again just under 45 minutes driving. To get to Carpe Diem Private Preschool, Allen from DFW International Airport, head north on International Parkway and merge onto TX-121 N. Continue on Sam Rayburn Tollway/TX-121 for about 20 minutes and then take the exit toward Exchange Parkway/Craig Ranch Parkway/Alma Drive. Turn right onto W Exchange Parkway, followed by another right onto North Watters Road, and a left onto Raintree Circle. A right turn at the first cross street onto Junction Road will leave you in front of Carpe Diem Private Preschool in Allen, Texas. Carpe Diem Private Preschool in Allen is located less than an hour’s drive from Downtown Dallas. To get to downtown Dallas from Carpe Diem Private Preschool in Allen, head south on Junction Drive, turn left onto Village Way Row, and then make a right onto Central Expressway South. Use the left lane to take the ramp onto U.S. Route 75 South and continue on US-75 for about 23 miles. Take exit 284 B to merge onto Live Oak Street. Then use the middle lane to turn slightly left onto North St. Paul Street. A right turn onto Jackson street will leave you in the heart of Downtown Dallas.